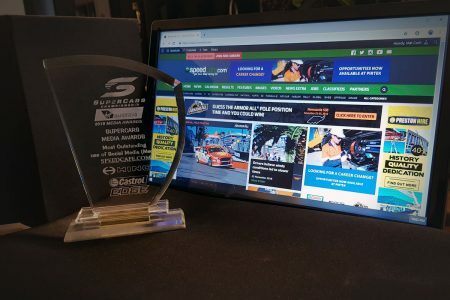 Speedcafe.com was among the award recipients at the 2018 Virgin Australia Supercars Championship Media Awards in Newcastle. The event recognised the media’s contribution to Supercars, with Speedcafe.com taking out the ‘Most Outstanding Use of Social Media’ award. “It’s great to be recognised by our peers for all the hard work we put in throughout the year,” said Speedcafe.com Editor Tom Howard. 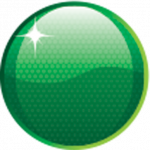 “The whole team is passionate about motorsport and work hard to report on the sport across all levels in great detail. “Social media is an important part of what we do, not only in sharing the latest news about the sport but through live updates during every Supercars session. It caps off a strong year of growth for Speedcafe.com which has already seen total readership surpass 2017’s record effort. “We’ve enjoyed really strong growth throughout the year, and that’s a testament to the team’s efforts,” added Justin Murray, Speedcafe.com General Manager. “Social media has been a critical part in creating what has been a record breaking year for Speedcafe.com, which has already seen more readers visit the site in 2018 than did in 2017. The news comes on the same day as Speedcafe.com announced TyrePlus as a Platinum Partner. Alongside Speedcafe.com a number of other award winners were named across the media spectrum, from photographers to commentators and public relations.